10 1/2 x 15 1/2 x 7 1/4 in. 9 3/8 x 12 x 6 in. 22 x 19 x 13 in. 4 1/8 x 10 7/8 x 6 in. 15 x 2 3/4 x 5 in. 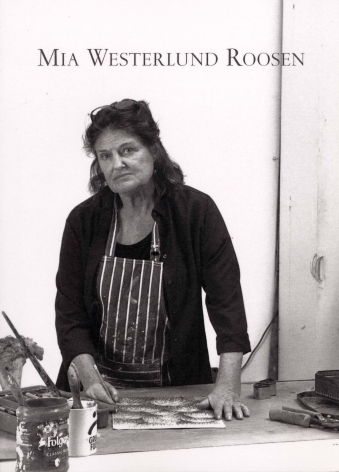 Betty Cuningham Gallery is pleased to announce an exhibition of models, maquettes and sculptures by Mia Westerlund Roosen, spanning her career from 1976- 2012. This will be the artist’s third exhibition at the Gallery, located at 541 West 25th Street, New York, NY. 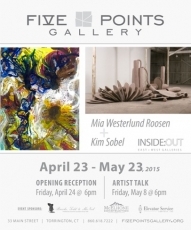 The artist will be present for an opening reception on Thursday, May 17th, from 6 – 8 PM. The current exhibition, Sculptures, 1976-2012, features approximately 50 small works. The models and maquettes all have been realized in monumental size while the four new works are not conceived with a larger work in mind. All pieces are unique and range in size from 2 to 72 inches. 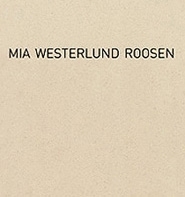 Throughout her career, Westerlund Roosen is at home working in a vast range of media including copper, concrete, ceramic, felt, lead, resin, flannel, stucco, plaster and bronze among others. Historically her work has been white or the inherent color of the selected medium. However more recently, Westerlund Roosen has begun to introduce color in her work, particularly evident in the four new sculptures included in the exhibition. The accompanying catalog, with essay by Saul Ostrow, will be available online and in print.